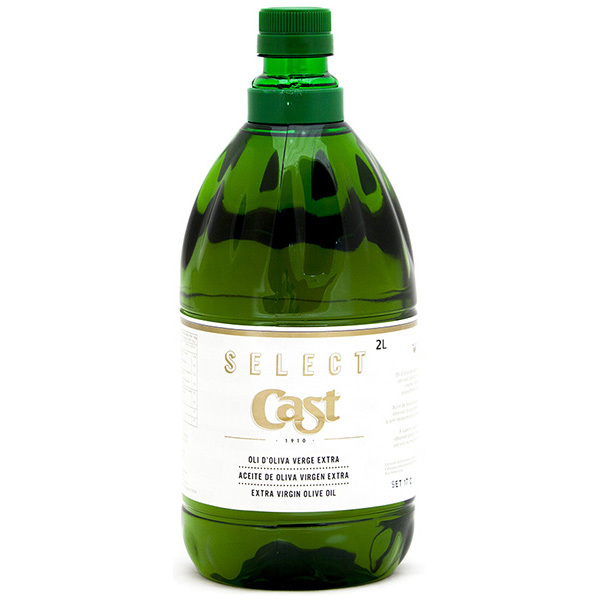 Here you can acquire 2 l Select Cast extra virgin olive oil. An OliSoldebre product placed in a 2-litre PET carboy. This container is made of polyethylene terephthalate, a material that ensures the quality and hygiene of the product without losing its properties. Besides that, it is 100% recyclable. The Select Cast extra virgin olive oil (EVOO) has an acidity degree of <0,6º. It is made by mixing four different olives: arbequina, farga, morruda and sevillenca. It is a mixing that gives a fresh aroma and, moreover, it remembers to green olives, apples, bananas, orange blossom and fennel. It also has lots of floral tones.